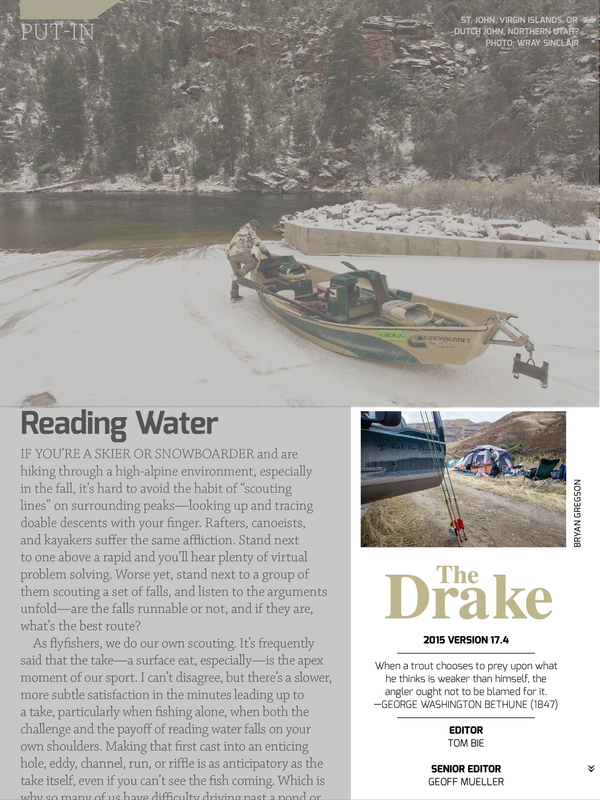 The winter issue of the Drake Magazine is currently on the shelves and available electronically. I am happy I was able to squeeze a few images into this one at the last minute and its a added bonus when the images are of your buddies. Doug ties some great productive flies, be sure to check out the article. This issue is not too be missed, it’s jam packed with abundant creative content. From the quiet Kootenai River to conservation issues on B.C.’s north coast, toothy Minnesota musky and far off Patagonia trout there is something for everyone. Head down to your local shop and grab a copy or download it to your tablet and take it with you wherever you go!